Product prices and availability are accurate as of 2019-04-25 06:45:44 EDT and are subject to change. Any price and availability information displayed on http://www.amazon.com/ at the time of purchase will apply to the purchase of this product. 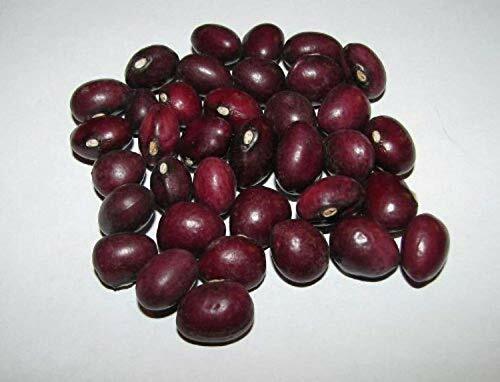 This listing is for a package of 10+ Organic Heirloom True Red Cranberry Bean Seeds! It has wonderful flavor and texture!! Sow your seeds outdoors in full sun after all danger of frost has passed and soil and air temperatures have warmed. 2 inches apart 1 inch deep. grow on trellises. Harvest dry beans when the pods are completely mature and dry. 95 days. Our seeds/bulbs are guaranteed to be fresh but are NOT guaranteed as to results. Sorry, but there are too many variables in gardening that can impact germination. Flower seeds/bulbs are a live organism. Their germination depends on many factor including heat, cooling, sun, shade, moisture, time of sowing, etc. None of these things We can control so We can not be held responsible for them. So please do not ask for a refund, replacement or to return unused seeds/bulbs.